Randy Papetti enjoys a busy commercial litigation practice at the law firm Lewis Roca Rothgerber Christie, LLP. Randy is recognized as not only a preeminent litigator, but also as an elite trial lawyer, and he has tried major intellectual property, real estate, commercial, joint venture, and even criminal cases. 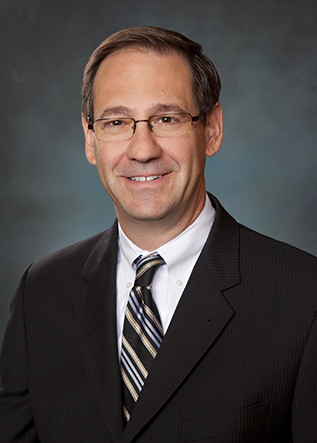 He recently served several years as the firm’s Litigation Practice Group Leader and is the current Chair of the Alternative Dispute Resolution Committee of the American College of Trial Lawyers. On a pro bono basis, Randy has successfully handled several SBS/AHT or other child abuse cases in which he felt the science was being misused. Early in Randy’s career, he was asked to help on a case where the defendant had been convicted based on a medical diagnosis known as “Shaken Baby Syndrome” (SBS). With no experience in the area, Randy dug into the case and studied the science behind the diagnosis, concluding it was unreliable, and eventually securing that individual’s relief after serving a lengthy prison sentence. Since then, on a pro bono basis, Randy has handled several high-profile murder and other alleged homicide cases in which he believed the defendants had been falsely accused. Recently, Randy’s concern about the unreliability of the science in this area led him to write a leading text, The Forensic Unreliability of the Shaken Baby Syndrome (Academic Forensic Pathology International 2018), which addresses the medical and scientific complexities and issues surrounding the diagnosis. Randy has received multiple awards for his pro bono and community service work. Please consider a 100% tax-deductible donation to help expand our ability and mission to fight injustice. Oops! Please try again later.